WARNING: Remember at all times that gasoline is highly flammable. Keep a fire extinguisher nearby whenever you are working with the fuel system. Avoid smoking, and keep any sparks or other sources of ignition away from the vehicle and fuel tank. Never use an incandescent trouble light near the fuel tank because the hot surface of the light bulb can ignite any fuel that might spill or splash on it. Fuel vapors are heavier than air and can also travel a long distance along the garage floor, work in a well ventilated area. Be aware of any electrical equipment that could ignite the spilled fuel. Work with caution. Park the vehicle on a solid, level surface. Relieve the fuel tank pressure by first loosening the gas cap. 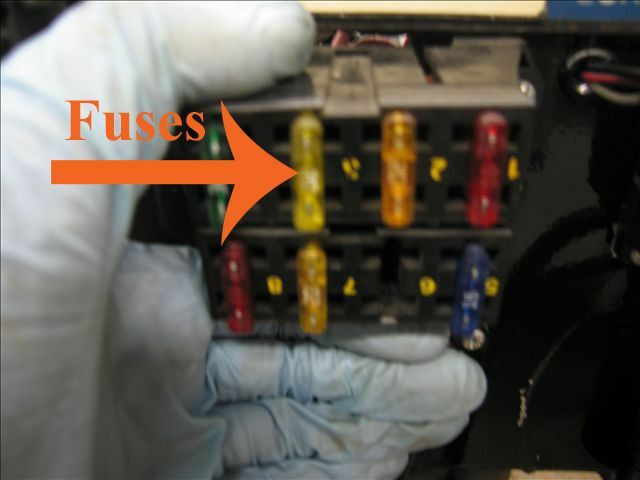 Remove the fuel pump fuse or relay (refer to your owner's manual for location). Start and run the engine until the fuel in the lines is used up and the engine stops. Crank the engine for two seconds to remove any remaining pressure. Locate the fuel filter in the engine compartment or underneath the vehicle near the fuel tank. If necessary, raise the rear of the vehicle and support it with jack stands. Disconnect the fuel lines from the fuel filter. Note: On older vehicles with carbureted engines, fuel lines are attached with simple hose clamps. On fuel injected engines, the fuel lines are attached with clamps, or with quick lock couplings, which require a special tool to remove. On some import cars, the fuel lines are attached to the fuel filter with banjo fittings. The copper washers on the banjo fittings must be replaced when the fuel filter is changed. Remove the fuel filter mounting bolts if applicable. Remove the fuel filter. Compare the new filter to the old one to verify that you have the correct part. Install the new fuel filter making sure that the flow arrow (outlet side) is pointing toward the engine. Reinstall the mounting bolts if applicable. Secure the lines back onto the fuel filter and reinstall the fuel pump fuse. Reconnect the negative battery cable. Lower the vehicle if applicable. Start the engine and check for fuel leaks. Note: The engine may not start easily on the first try due to lack of fuel, but it should start as the pressure increases and the fuel reaches the injectors. Test drive the vehicle to check for a rough running engine, hesitation, or lack of power.